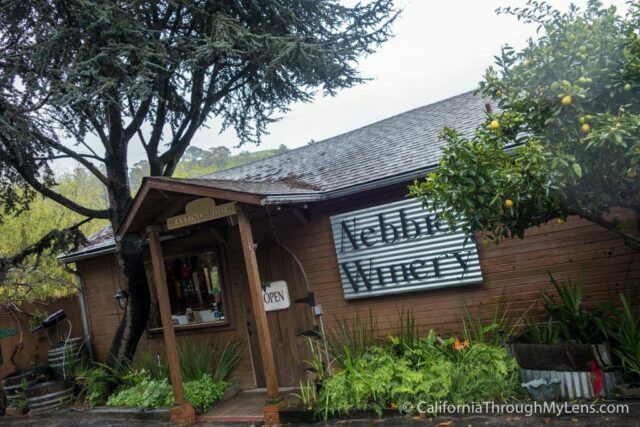 As one of the only wineries in Half Moon Bay, La Nebbia Winery is a great spot to get some tastings or to just sit in the beautiful gardens and enjoy a glass of wine. I got a chance to visit when I was taking a glass blowing class from Doug, who rents a space next to the winery. Both of these activities were fantastic, and you can read about glass blowing here or the winery below. 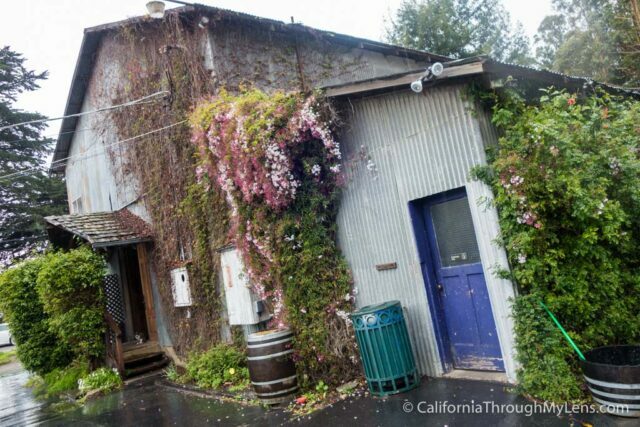 The winery building itself has been a staple of the Half Moon Bay area ever since 1979. One of the main attractions that has been going on for decades is the barrel to bottle events that they have quarterly. These events are where customers bring in old empty bottles, and they get them filled at the winery. It is a fun tradition that was started here and that brings people from all around. 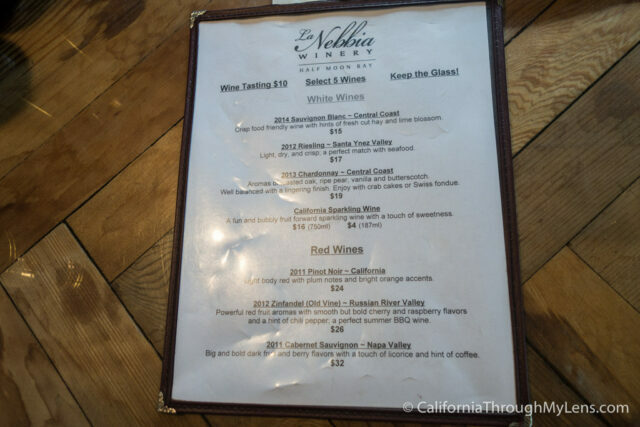 The small tasting room has a large bar along the wall that you can sample the wines at. 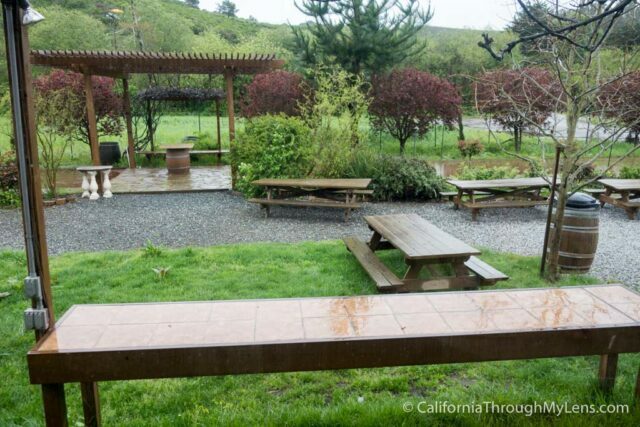 The tasting room has large windows that look out over the garden area where you can play bocce ball during the summer or just relax and enjoy a glass of wine in. I was told the most popular wine here is the California Sparkling Wine and it is an easy recommendation as it is a light and bubbly drink. I enjoyed my time here trying wines and just talking about the area and the grapes (they don’t grow here, they source from other wineries). 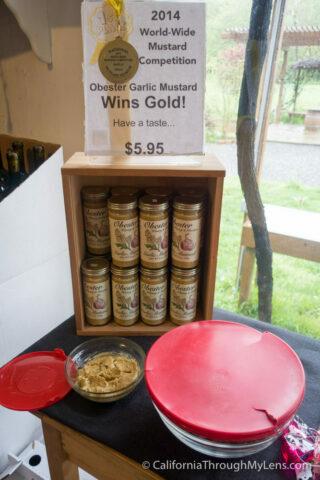 They also have a mustard that they sell in the winery that I have to mention. It is a garlic mustard, and it is worth coming just for it. The mustard was full of flavor and something I had to take home with as it was incredible. All in all, this is a great place to spend a relaxing afternoon in Half Moon Bay. Bring up a sandwich from town, grab a glass of wine and sit out in the gardens and relax. 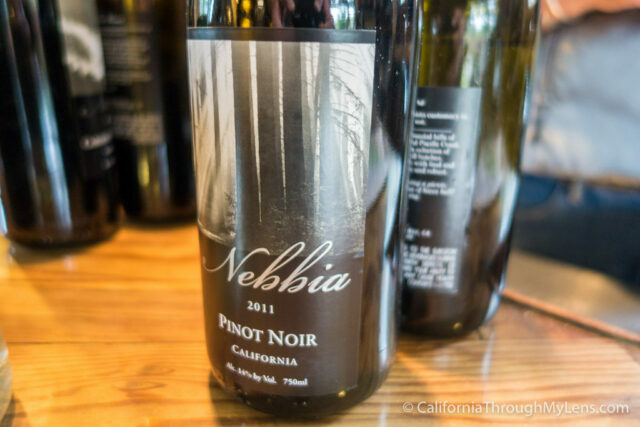 Let me know what you think of La Nebbia Winery in the comments.